Located near Brook Green, Blythe Road lies in an affluent area surrounded by a number of small independent shops. 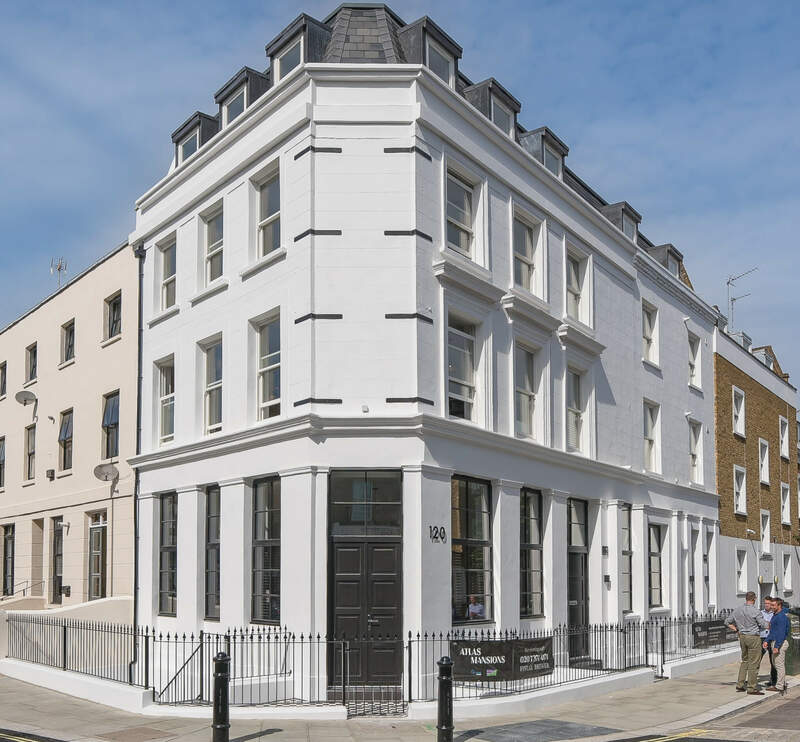 At the time the property was built in 1870, the road was already a vibrant area and hosted the London headquarters of the secret society, ‘The Hermatic Order of the Golden Dawn’. The building itself was formally called ‘The Old Parrs Head’ and housed a pub, licensed to a Mr. William Parr. 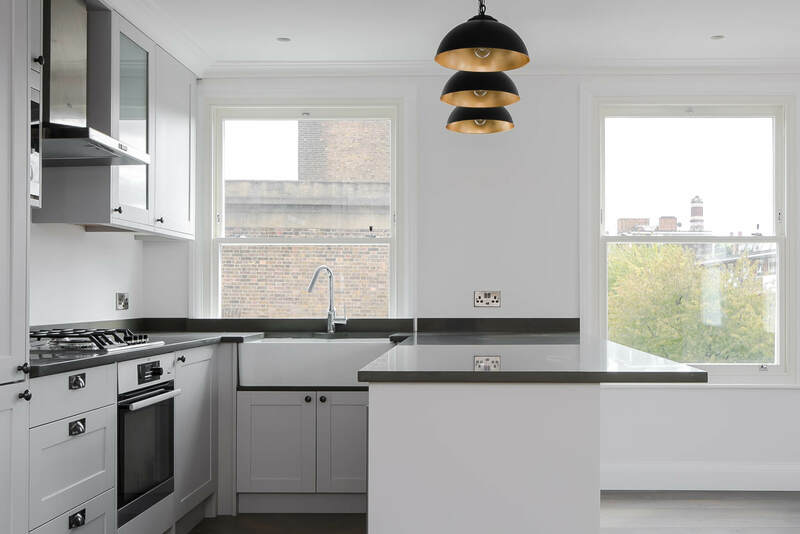 The project consisted of the conversion of this traditional Victorian pub into a selection of residential units of different sizes and configurations, aimed at young professionals. The space therefore required substantial alteration, with a complete structural re-design from the basement through to the 3rd floor. 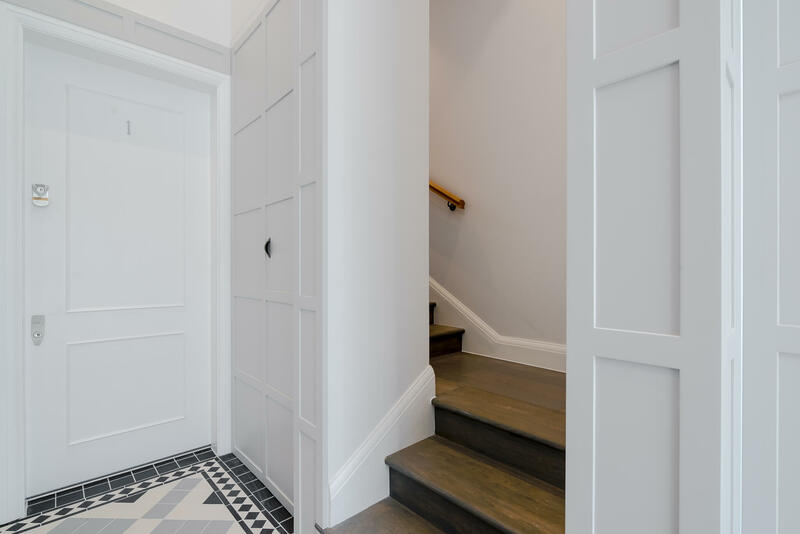 The interior was split into three lateral and two duplex apartments with the main entrance serving the first duplex apartment and an additional side entrance and hallway serving the other residences. For the second duplex the back façade was fully reconstructed with a single storey annex added to accommodate the generous open plan kitchen/ living room and sliding glass doors bringing in natural light from a well proportioned courtyard. A new stairwell tower was added for access to the residences on the floors above. The change of use ultimately created the need for a complex configuration of units, which together with the mix of existing and new build structures required careful planning and co-ordination of the engineering and services. Taking inspiration from the characterful features of the original pub and the craftsmanship of the Victorian era, the interior design seeks to create a space that is at once both contemporary as well as a nod back to the heritage of the site. 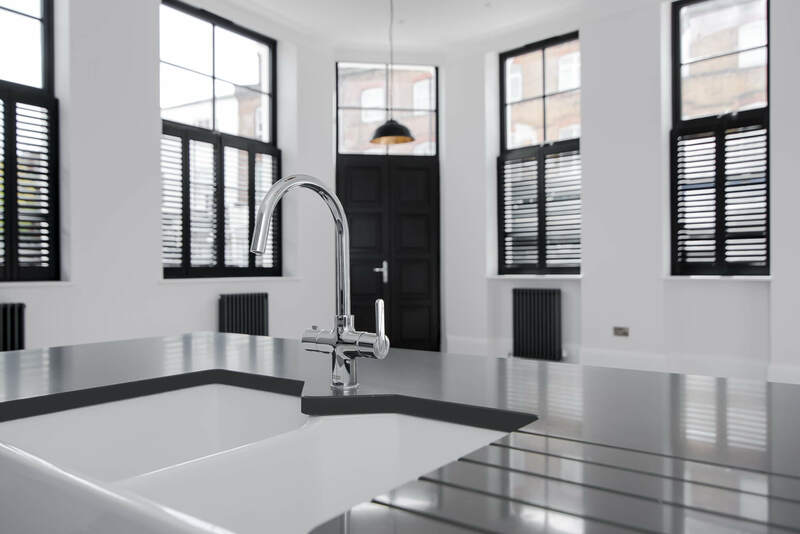 Metal railings that mimic the original Victorian design have been used outside the building with the metalworking theme continuing and evolving internally into the use of modern metal light fittings that can be seen throughout the interior of the space. 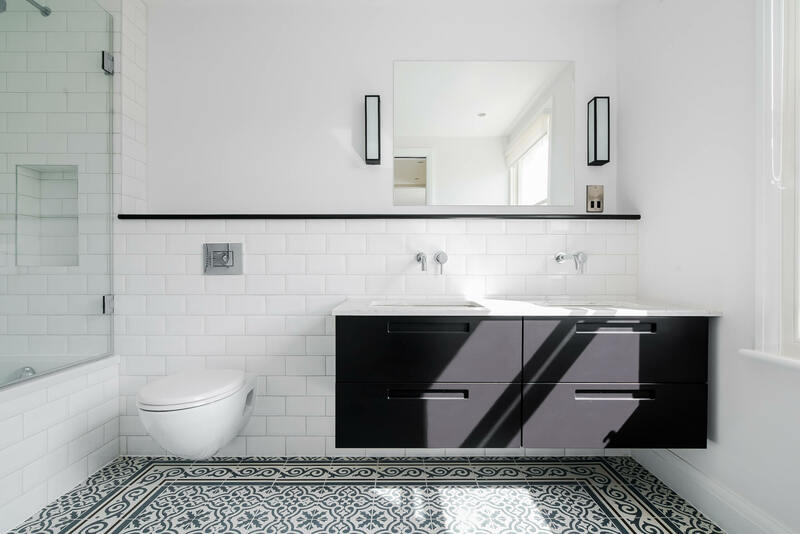 Metro and floral patterned tiles, first seen in the Victorian era line the walls and floors of the bathrooms adding a touch of refined elegance. 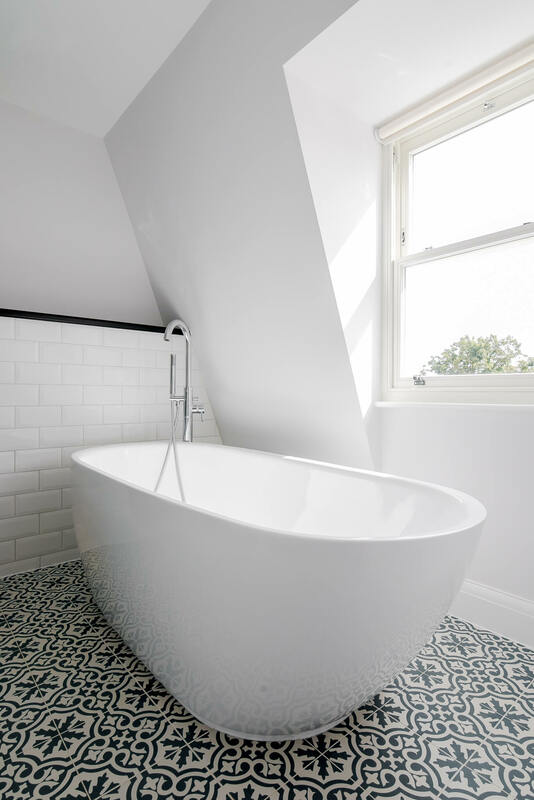 The herringbone tiling which can be spotted on the 2nd Floor bathroom, mirrors the herringbone design of the wooden floors seen in the communal spaces and highlights the skilled craftsmanship of the contractors, Finch Lockerbie. 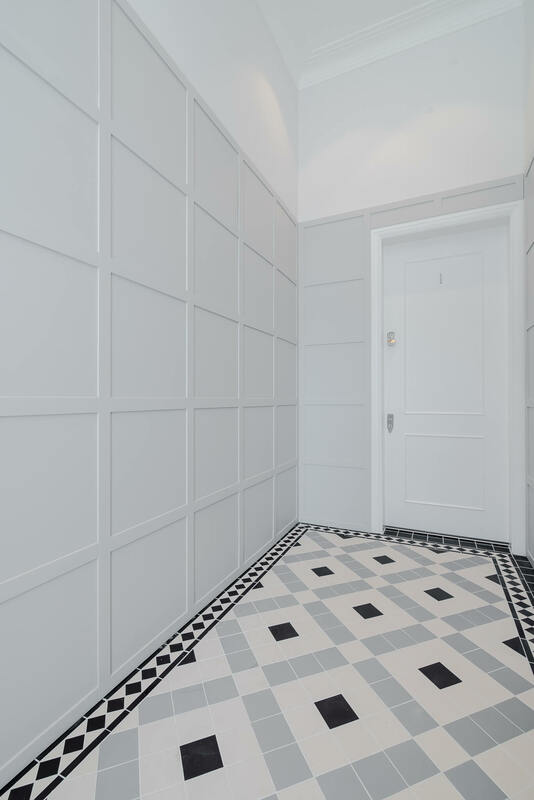 The craft element appears again in the leather door handles used in the bedroom wardrobes which together with the sections of exposed brickwork bring a natural warmth and texture to the otherwise contemporary monochrome palette. The overall effect that can be felt is one of refined simplicity.